Vero Beach patrons complain to AMC staff about an intoxicated man harassing them during movie. 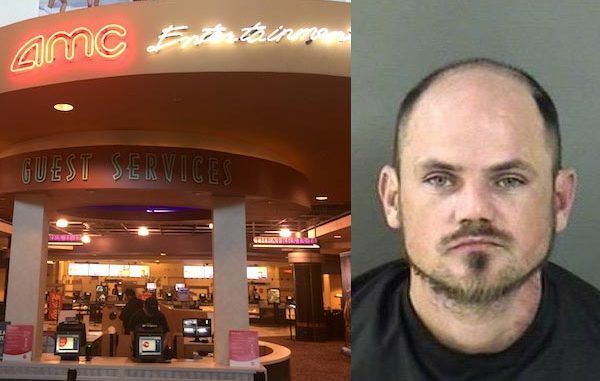 VERO BEACH – A 36-year-old man was arrested on charges of disorderly intoxication after harassing teenage girls at the AMC Classic Indian River 24 movie theater in Vero Beach. Jeremy Michael Avant of Sebastian showed up at the AMC Movie Theater Sunday and harassed several customers entering the building. Avant, a lawn maintenance worker, then tried to enter without paying for a movie. A theater security officer asked Avant to leave, and he did. But a few minutes later, he somehow got into the theater and began to harass a couple of teenage girls during a movie. The girls went to the front desk and reported that “a creepy drunk guy” was harassing them and “making cat calls towards them while in one of the theaters” as they were trying to watch a movie, according to the report. Security then escorted Avant out of the theater. They believe he snuck in through one of the side entrance doors. The AMC staff then called the Indian River County Sheriff’s Office to report the disturbance. A deputy made contact with Avant in the entrance to the food court near the theater. The subject was “visibly intoxicated” and was “unsteady on his feet,” the report said. The staff at AMC requested that Avant be trespassed from the property. The deputy asked Avant if there’s anyone he can call to get a ride home, but he declined. Avant was arrested for disorderly intoxication and transported to the Indian River County Jail.